It's the associated healthier behaviours that generally come with being a vegetarian – such as not smoking, maintaining a healthy weight, exercising regularly - that explain why vegetarians tend to have better health outcomes than non-vegetarians. In the past few years, you may have noticed more and more people around you turning away from meat. At dinner parties or family barbecues, on your social media feed or in the news, vegetarianism and its more austere cousin, veganism, are becoming increasingly popular. 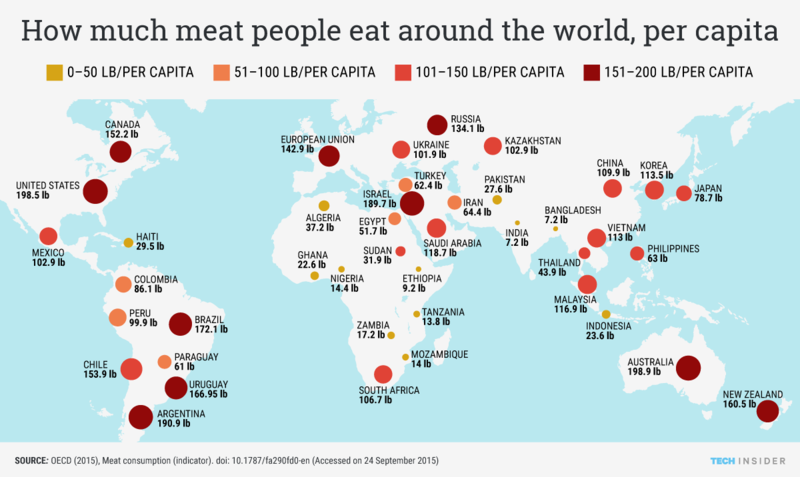 While the veggie patty and the superfood salad are not going to totally replace lamb, chicken or beef as Aussie staples any time soon, the number of Australians identifying as a vegetarian is rising steadily. According to Roy Morgan Research, almost 2.1 million Australian adults now say their diet is all or almost all vegetarian. Ask someone why they are a vegetarian and you are likely to get many different answers. The reasons include environmental, animal welfare and ethical concerns, religious beliefs and, of course, health considerations. It’s this last factor we set out to investigate. There are several existing studies on the impact of vegetarianism on health, but the results are mixed. A 2013 study, which followed more than 95,000 men and women in the United States from 2002 to 2009, found vegetarians had a 12% lower risk of death from all causes than non-vegetarians. Given the contentious nature of discussions about vegetarianism and meat eating, these findings generated lots of coverage and vegetarianism advocates hailed the study. We set out to test these findings, to see if being a vegetarian would translate into lower risk of early death in the Australian population. Australia is home to the largest ongoing study of healthy ageing in the southern hemisphere, the Sax Institute’s 45 and Up Study. This gives us a pool of more than 260,000 men and women aged 45 and over in New South Wales to work with. We followed a total of 267,180 men and women over an average of six years. During the follow-up period, 16,836 participants died. When we compared the risk of early death for vegetarians and non-vegetarians, while controlling for a range of other factors, we did not find any statistical difference. Put more simply, when we crunched the data we found vegetarians did not have a lower risk of early death compared with their meat-eating counterparts. This lack of “survival advantage” among vegetarians, outlined in our paper in Preventive Medicine, does not come as a complete surprise. In 2015, a United Kingdom-based cohort study concluded vegetarians had a similar risk of death from all causes when compared with non-vegetarians. This is contrary to the US-based study findings. Does that mean everyone should drop the asparagus, fire up the barbie and fill up on snags, steaks and cheeseburgers? Not necessarily. It’s standard practice in epidemiological studies to statistically control for various factors (we call them “confounders” as they may confound an association). We controlled for a number of factors to get a true sense of whether vegetarianism by itself reduces risk of death. It’s important to acknowledge that in most studies vegetarians tend to be the “health-conscious” people, with overall healthier lifestyle patterns than the norm. For example, among the Sax Institute’s 45 and Up participants, vegetarians were less likely than non-vegetarians to report smoking, drinking excessively, insufficient physical activity and being overweight/obese. They were also less likely to report having heart or metabolic disease or cancer at the start of the study. In most previous studies, vegetarians did have lower risk of early death from all causes in unadjusted analysis. However, after controlling for other lifestyle factors, such as the ones listed above, the risk reduction often decreased significantly (or even completely vanished). This suggests other characteristics beyond abstinence from meat may contribute to better health among vegetarians. More simply, it’s the associated healthier behaviours that generally come with being a vegetarian – such as not smoking, maintaining a healthy weight, exercising regularly - that explain why vegetarians tend to have better health outcomes than non-vegetarians. In a separate study we conducted using data from the 45 and Up Study, we found people who ate more fruit and vegetables, particularly those who had seven or more serves per day, had a lower risk of death than those who consumed less, even when other factors were accounted for. And although there is unclear evidence a vegetarian diet promotes longevity, studies have consistently shown other health benefits. For example, a vegetarian diet has been consistently associated with a reduced risk of high blood pressure, type 2 diabetes and obesity. A meta-analysis (a statistical analysis that combines data from multiple studies) from 2012 concluded vegetarians had a 29% lower risk of early death from heart disease and an 18% lower risk for cancer. It’s important to keep in mind that the International Agency for Research on Cancer, the cancer agency of the World Health Organisation, has classified the consumption of processed meat as carcinogenic and red meat as probably carcinogenic to humans. While we can’t say for certain if being a vegetarian helps you live longer, we do know having a well-planned, balanced diet with sufficient fruit and vegetables is certainly good for you. We also know sufficient physical activity, moderating alcohol consumption and avoiding tobacco smoking are key factors in living longer. And the growing body of evidence shows vegetarians are more likely to have these healthy habits.